​Sweetbreads, King of the Asador - Heritage Backyard Inc. If you’ve ever been to Argentina or heard of Argentina the first thing that comes to mind might be Argentine Tango, Wine, Steak or one of its iconic national parks. While all these are fascinating and amazing, I would like to discuss about something else that’s deeply rooted within the culture of Argentina, and that is Asado. Asado is the traditional Gaucho (Cowboy) way of Barbecuing where cooking under hot embers is a must! In Argentina, this type of Gaucho grill is called an Asador. Like many BBQ styles around the world there are distinctions that make Argentine BBQ, authentic Gaucho Barbecue. The main distinguishing factor to grilling like a Gaucho is cooking under hot embers and nothing else. Embers are so important when cooking meats because it minimizes the amount of smoke that touches the meat and ensures the cleanest taste possible. 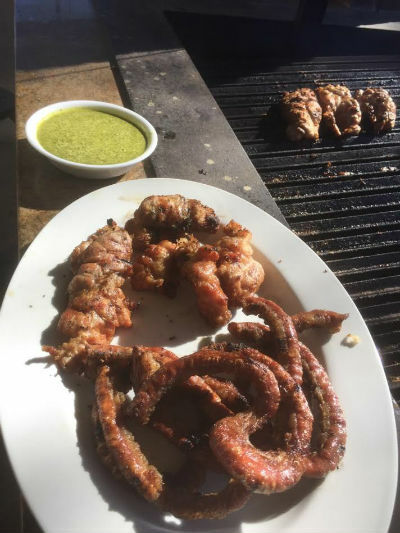 Argentinians take so much pride and care with their meats that their BBQ mantra is the flavor of the meat should come out first and not hide behind a mask of thick smoke flavor. 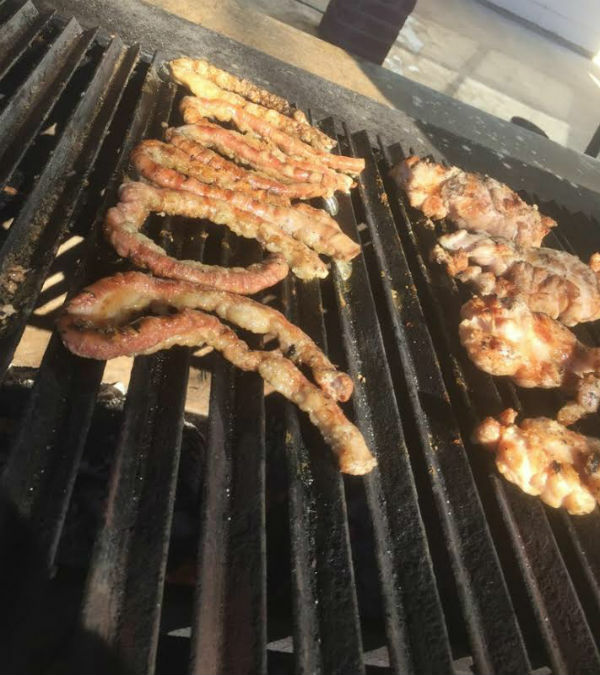 Now that you have a brief overview of what an Argentine BBQ is, it’s time to discuss some traditional foods that are often cooked on the Grill. Argentina’s favorite meat of choice is Beef and when it comes to a Gaucho BBQ no part of the animal is wasted. That being said it is normal that the first cuts that get eaten are it's internal organs known as offal in Patagonian cooking. Some of the most unappreciated yet prized parts of the cow are the Sweetbreads. Sweetbreads otherwise known as Mollejas in Argentina have a distinct taste to them that is unlike any other part of the cow. Sweetbreads are as important to beef as bacon is to pork. They are a prized cut and never last long enough in the fridge. The best way to cook these is over an Argentine Grill and serve with homemade Chimichurri sauce.